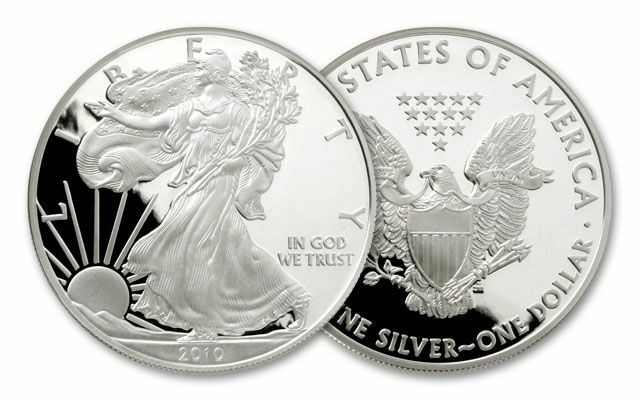 America’s finest silver is displayed in all its glory with the 2010 American Eagle Silver Dollar. Every year savvy buyers stash these away. Each is struck to stunning Proof condition in one ounce of 99.9% fine silver. The 2010 American Silver Eagle is one of the most hotly sought-after coins ever produced by the U.S. Mint. 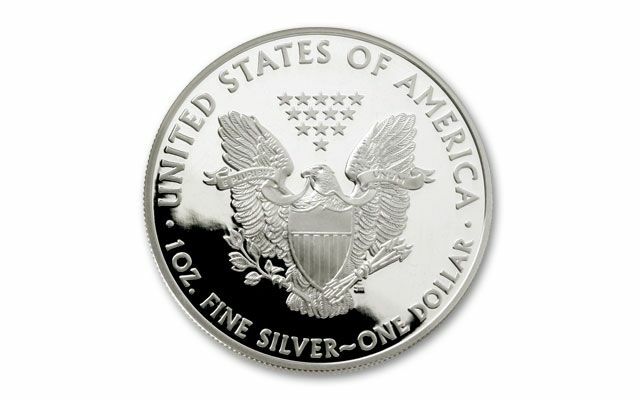 Because of the recent upsurge in demand for precious metals as a hedge against economic unpredictability, the U.S. Mint has found it difficult to obtain enough silver bullion blanks to meet the demand for Silver Eagles. During the past two years, the availability of Silver Eagles has been through an allocation program to dealers, effectively restricting the number of Silver Eagle coins flowing through to the public. When the 2010 Silver Eagle coin went on sale in mid-January, there was a stampede, and the U.S. Mint sold 2.48 million 2010 American Silver Eagles within two days of their release. 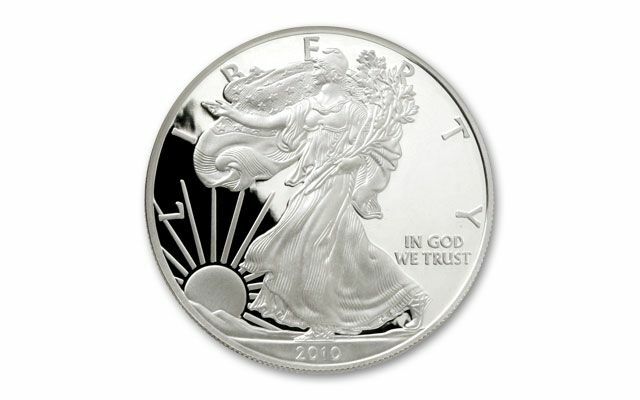 American Eagle silver bullion coins feature the "Walking Liberty" design by American sculptor Adolph A. Weinman (look closely and you can see his initials in the hem). On the reverse side is John Mercanti's design of a heraldic eagle and shield. The American Silver Eagle dollar coin is widely recognized as one of the most beautiful American coins ever minted. And they're the only silver bullion coin whose weight, purity and content are guaranteed by the U.S. Government. The overall average price of silver during 2010 was $20.19 per ounce.